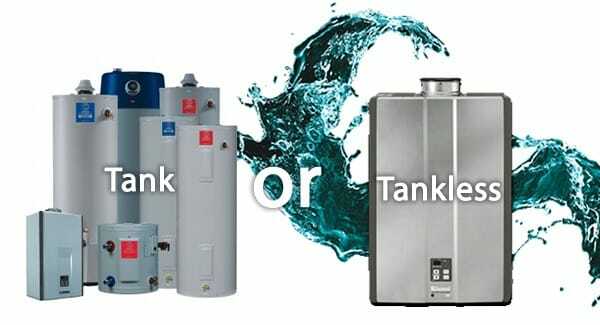 Tank Water Heater vs. Tankless Water Heater: Which is Right for Me? 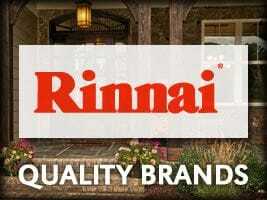 There are many questions that consumers are posed with when deciding on a water heater. Is a high efficiency gas storage tank for me? Or would the whole-home gas tankless water heater better serve me and my home? Depending on your current water heater situation, your skill level in maintaining your water heater, and in some cases just your own preference, many things can factor into your final decision making process. Anyway you choose to go however it is best to know the facts and the pros and cons of either type when making your final decision. A very helpful spot to learn more about both the “tank water heater” and “tankless water heater” is the Energy Star website (www.energystar.gov) which details each very thoroughly. According to the site, one should give serious consideration to the whole-home gas tankless water heater model if you are in the process of building a new home or taking on a significant remodeling project at your home. In choosing the tankless water heater route, it is essential that you first be sure that there is a large enough gas line at your home (this would typically need to be a ¾” line) in addition to having enough space to install the proper venting. Energy Star also suggests the tankless water heater model for those who are looking to replace their existing water heater before it actually breaks down or if you presently find yourself running out of hot water often. The tankless heaters would more than likely require that you be willing to either take on the responsibility of some additional maintenance tasks or be sure to schedule a regular check on the unit every few years, and while you will have to pay a bit more upfront when choosing to go this route, in the long run this type of heater will reduce your heating bill by an estimated 30 percent. 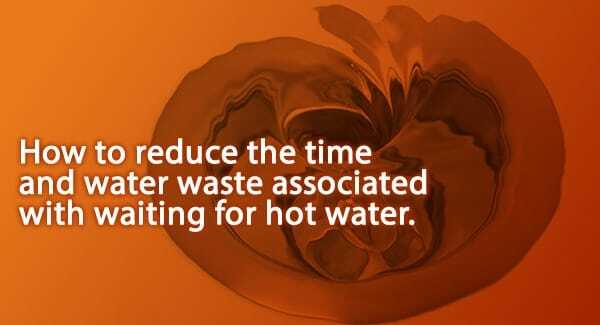 Another plus in “going “tankless” is that the water heater will have a longer lifetime than the other options available to you. 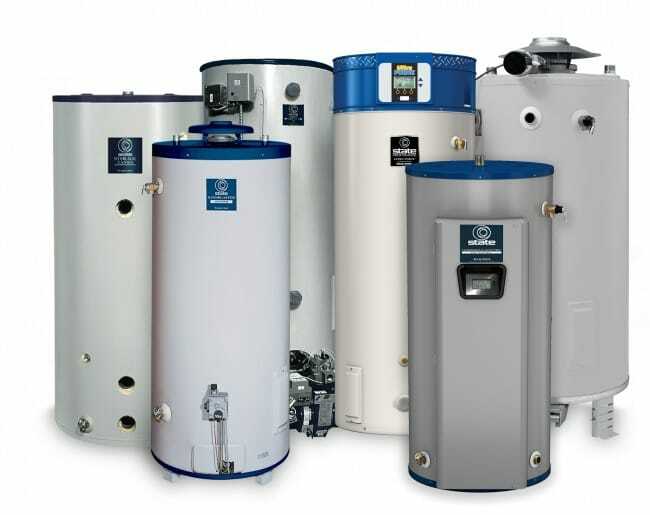 The high-efficiency gas storage water heaters or the “tank” heaters also are a viable option in many cases, especially for those looking for more routine installation and maintenance of their water heater, Energy Star recommends this type to consumers who are satisfied with the style of water heater that they currently have and for those not looking to make a major change. These are also ideal for those who currently have a “tank” heater that is no , longer functioning and needs to be replaced. Much like the “tankless” option, the gas storage heater can lower heating bills in the long run for those willing to pay a little more up front, as on average these models of heaters will reduce one’s water heating bills by around 7 percent. 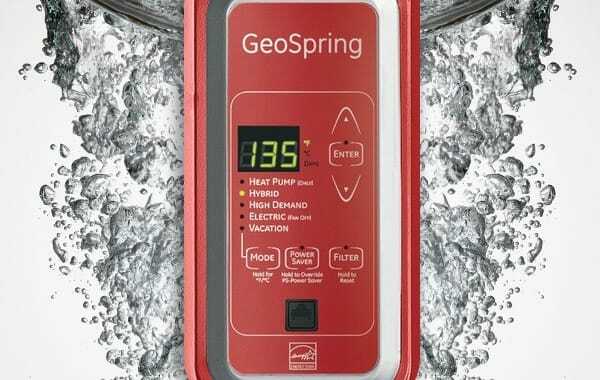 https://www.poolesplumbing.com/wp-content/uploads/tankless-water-heater-or-tankless-water-heater.jpg 325 600 raleigh plumbers https://www.poolesplumbing.com/assets/Pooles-logos_03.png raleigh plumbers2012-11-28 09:04:332018-05-09 13:38:42Tank Water Heater vs. Tankless Water Heater: Which is Right for Me?